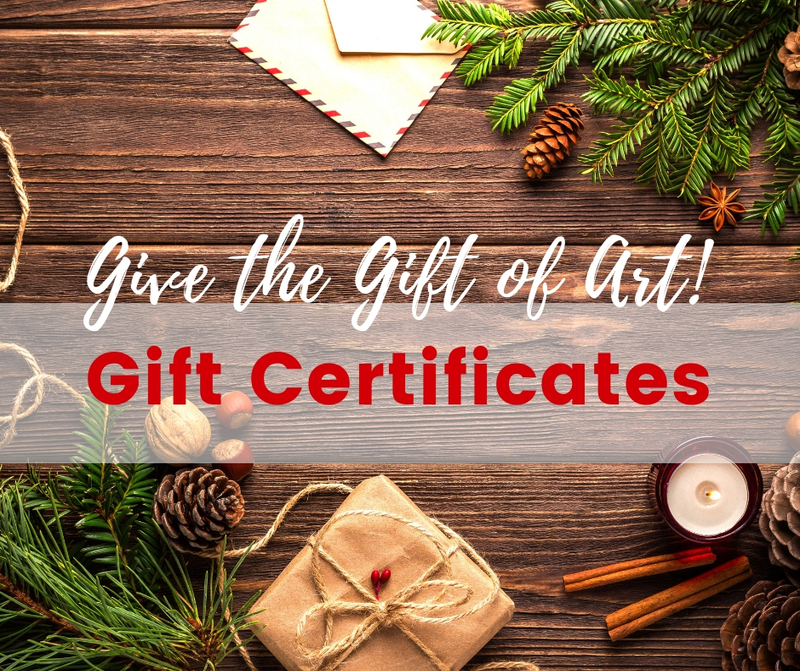 Hands on Art Gift certificates are the best gift for any occasion! You can purchase them at the store or online. Certificates are good for any of our ceramic products, art classes for children or adult, workshops and Paint Nights, so don’t hesitate! Your certificate will arrive to you via USPS. 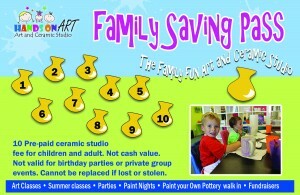 Family Saving Pass is the best way to have fun and pay less when you visit Hands on Art pottery studio. Save up to $50 when you purchase your prepaid studio fee for children and adult for only $30. Pass allows up to 10 visits. The perfect gift for family and friends. Please allow 5 business days for delivery.